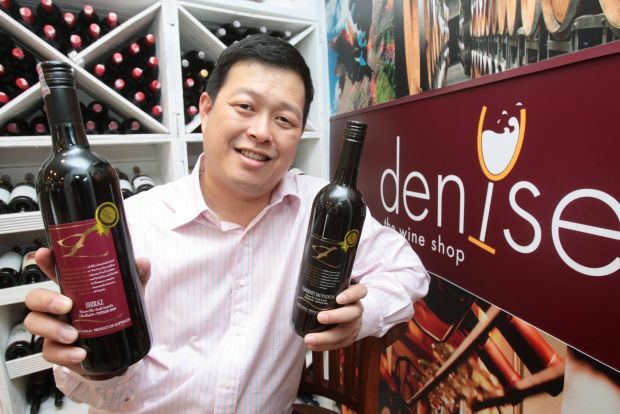 Asian promoters of wine are becoming a force to be reckoned with. WHILST wine sales have become lack lustre in Europe, wine is being promoted actively in Asia – and not by foreigners but by Asians themselves. Datuk Kok Wee Kiat received the Southeast Asia Wine Pioneer Recognition Award for his effort in promoting wine in the region. Food & Hotel Asia’s Wine and Spirits Asia Challenge (WSA), in its fifth edition, has refined its judging criteria to reflect its regional focus. Unlike other international wine competitions where judges hail from the world over, the WSA judges are comprised of wine experts living in the Asian region. Wines are still judged blind, for their visual aspect, aroma, bouquet, flavour, finish and overall expression and quality – but the wines also have to appeal to Asian palates. To demonstrate how wines can be paired with Asian food, Payne hosted a tasting showcasing the winning wines of the WSA Wine Challenge 2010. Invited journalists were served winning wines that were matched to Asian dishes. I tried a Henri Mandois NV Champagne with sushi, a Chateau Ferrande Rouge with masala beans, a Ziegler August Scheurebe TBA with pineapple fried rice and a St. Clair Family Estate Sauvignon Blanc with satay. I found the wines to be friendly to local cuisine. Another initiative to promote wine in the region was undertaken by Wine for Asia, which is in its ninth edition. This year, Wine for Asia conceived the Southeast Asia Wine Pioneer Recognition Award – to recognise wine pioneers from their respective countries. About 50 persons around Asia are being conferred the award. In Malaysia, 10 people were recognised for their wine pioneering efforts. 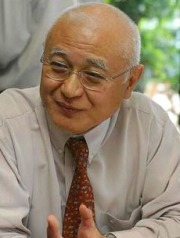 Datuk Kok Wee Kiat, a recipient of the award, began promoting wine as early as 1979 – together with Remy Martin of France, he became the sole agent for the likes of Bordeaux’ Chateau Lafite & Chateau Margaux, Champagne’s Krug & Charles Heidsieck, Burgundy’s Latour & Jadot, and Cotes-du-Rhone’s Jaboulet. His taste for wine is without borders. In 1989, Kok was conferred the award of Capo Dell’Ordine Repubblica Italiana for services rendered to Italian exporters to Malaysia of Italian wines and food. In the 1990s he not only imported Chilean wine but also introduced many wine lovers to it – and earned himself yet another recognition, the Confiere la Orden de Bernardo O’Higgins, this time from the Chilean Government in 1998. The other nine recipients in Malaysia are Teng Wee Jeh (Barrique Fine Wines), David Lim (Denise Wines), Huza Radzi (Westin Kuala Lumpur), Roderick Wong (The Wine Academy, Malaysia), Wong Yin Chong (Milawa), the late Johnny Ong (World Asia Publishing (M) Sdn Bhd), Gough Chong and Paul Leong (Geovinum), and John Yap (Shook, YTL Group). Further north, in Hong Kong, wine activities are just as engaging. Next week, I shall be attending the Hong Kong International Wine and Spirits Competition. Here too, wines are judged by Asian wine experts attuned to the Asian palate. Not only that, wine lovers are encouraged to participate in an event called, “Test your Palate”. Here, wines will be lined up in exactly the same format as in the judging room. Wine lovers get to experience the judging process – in essence, to compare their tasting skills with those of the expert panels! 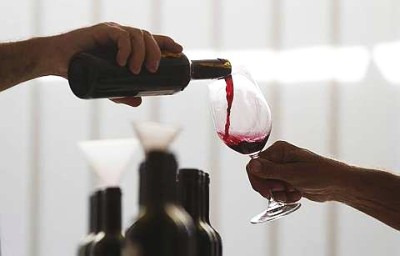 ● Cathay Pacific Hong Kong International Wine & Spirit Competition 2011 “Test Your Palate” takes place on Oct 12-14, 6-9pm, at the Hong Kong Convention and Exhibition Centre, Wanchai. More information at www.asiasbestwinesandspirits.com. ● Wine for Asia 2011, Indulgence Singapore Package costs S$200 (RM492). It includes an F&B Safari Tour on Oct 28 (wine & food pairing dinner, a river cruise and tour of Clarke Quay and Demsey Hill); entry to Wine Fiesta@Wine for Asia on Oct 29, access to Wine Style Asia Award Tasting Lounge and entry to two Premium Tastings. Members from the wine, wine-related trade and F&B trade also get a complimentary night’s stay on twin-sharing basis at the Conrad Centennial Hotel on Oct 28. More information at www.wineforasia.com. ● The Wine & Spirits Asia 2012 exhibition will take place at the Singapore Expo on April 17-20, 2012. The event is for trade professionals. Please see www.winespiritsasia.com.